if you’re anything like me, you probably have a bag of parmesan rinds in your freezer that you’ve been saving for something special. as a culture of foodie freaks, we’ve been taught never to throw the rinds away! and yes, you can use them to flavor a soup or toss them in your red sauce for some extra zip, but parmesan broth is a much better way to use these beauties. it’s simple to make and you can use it so many different ways. 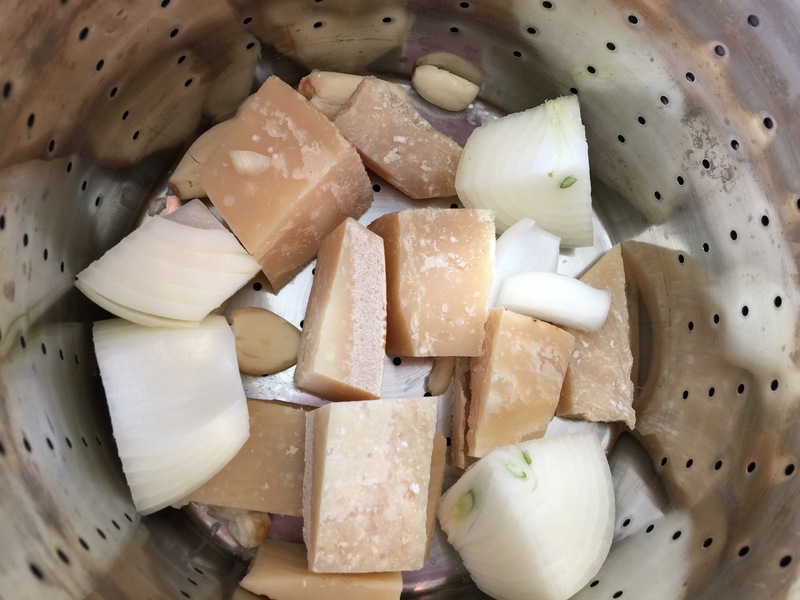 in this post, i’m using it in its purest form and simply serving it over some blanched baby vegetables, but let your imagination take over and think of all the ways a parmesan infused broth might make your dishes better. 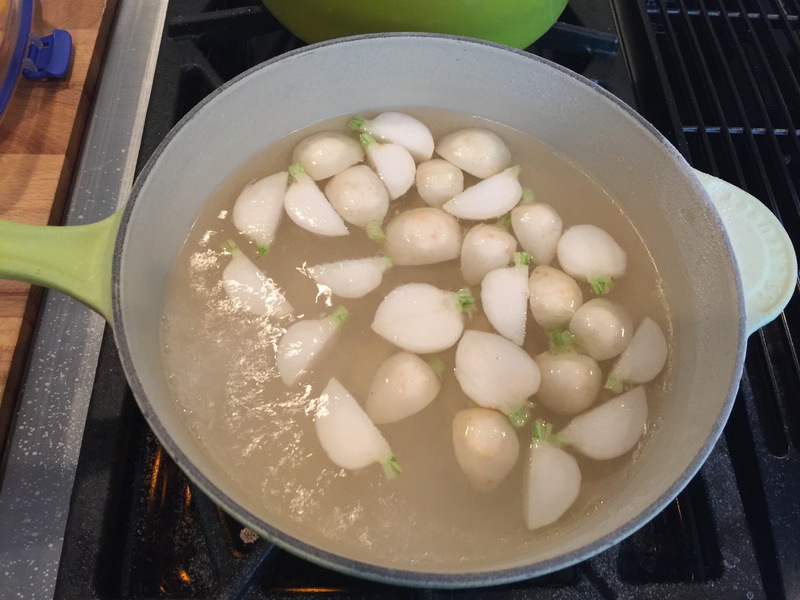 you can use it as the liquid in risotto or a base for soup. you can even cook your favorite pasta in it! after you see how easy it is to make, those parmesan rinds will never look the same to you again. Heat oil in a large saucepan over medium-high heat. Cook onion, garlic, thyme, bay leaf, parsley, and peppercorns, stirring often, until garlic is slightly brown, about 5 minutes. Add wine, bring to a simmer, and cook, scraping up any brown bits, until liquid is reduced by half, about 4 minutes. Add Parmesan rinds and water; bring to a boil. Reduce heat and simmer, stirring occasionally to prevent cheese from sticking to bottom of pot, until broth is flavorful and reduced by half, about 2 hours. 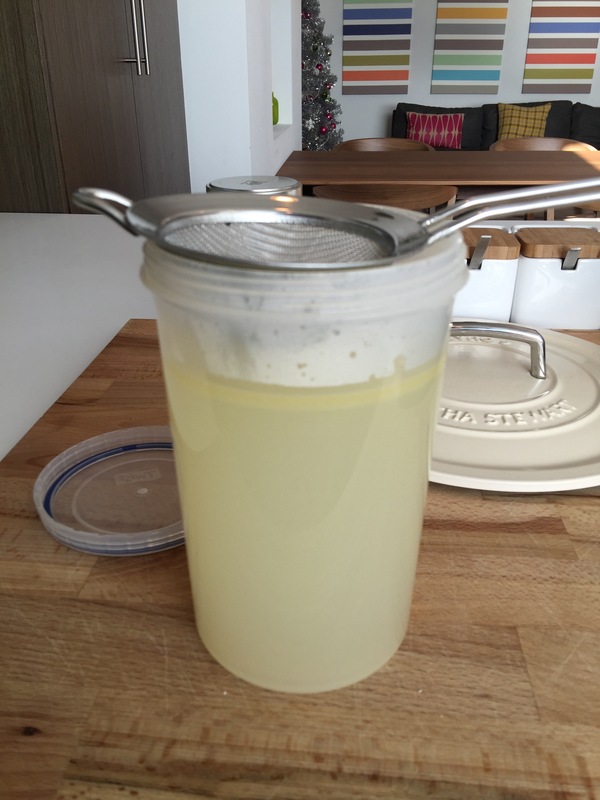 Strain through a fine-mesh sieve into a large bowl (or an airtight container if making ahead) and check for seasoning, adding a little salt if necessary. 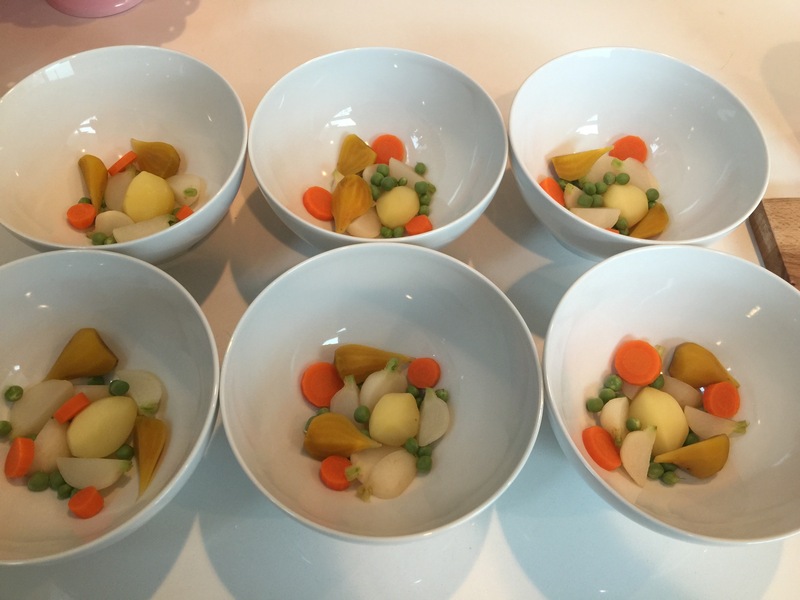 i blanched my baby vegetables in salted water for just a few minutes each, starting with the white turnips and ending with the golden beets. this is a wonderful alternative to a salad on chilly nights and you can’t beat the visual punch! as summer rolls in, you can use whatever vegetables are coming up in your garden, like little cherry tomatoes cut in half or zucchini delicately cubed. say hello to your new favorite culinary trick. 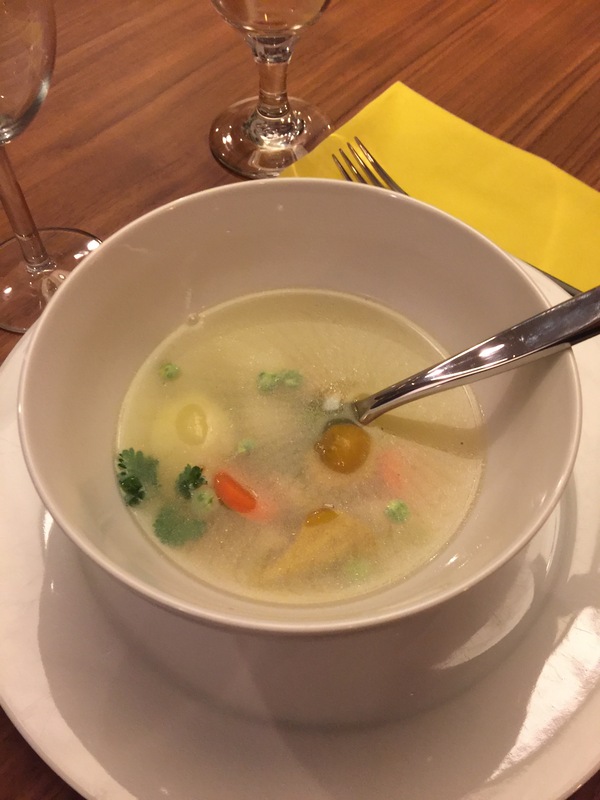 This entry was posted in appetizers, cheese, Recipes, soups and tagged broth, food, parmesan, recipe. Bookmark the permalink.